Hydra LG Fan Kit Discounts Apply ! 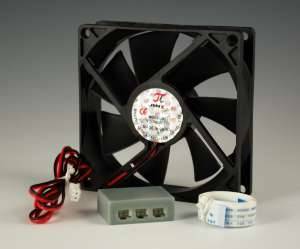 This kit is used with the Hydra LG to provide an air circulation fan for your humidor. When the Hydra LG turns on it also turns the air circulation fans on. This help maintain a more balanced level of humidity in your humidor. The Hydra LG can operate three external fans in total. Only 2 of the fans listed below are needed to completely fill the fan ports.